I believe you have faced low internal memory problem while installing apps as i do. And some of you have tried partition SD card and used link2SD as i do, This link2SD is not my choice, because i'm using Class-4 SD card, Ya i know its too slow, But OK for me. 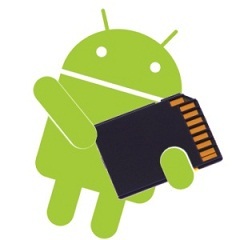 Get custom recovery mode installed (TWRP or CWM). Download APP to create partition(1.6gb/1.4gb) Download. Make backup of ROM that you are using now go to link shown above. Install Partitioning APP downloaded by link given above. Launch the app, It will ask for super user permission > Grant access. Select 1.5GB - First option (as that specified for 4GB ROM) Please don't select any other options, if you do your phone will directly got to trash can ;). Select any option you want. Now you will get to recovery mode. select CACHE, and wipe it. Select System, and wipe it. Now go back to recovery home screen and select Recovery. Your 1.6 GB internal memory is ready, But phone memory may not detect. If phone memory is not detected then go for next step. Connect your phone to PC using data cable as usb storage mode. You will get message like format drive , format it (if not goto my computer select internal storage i,e. 1.3gb format it). Before 1GB internal app memory, 2GB phone storage.